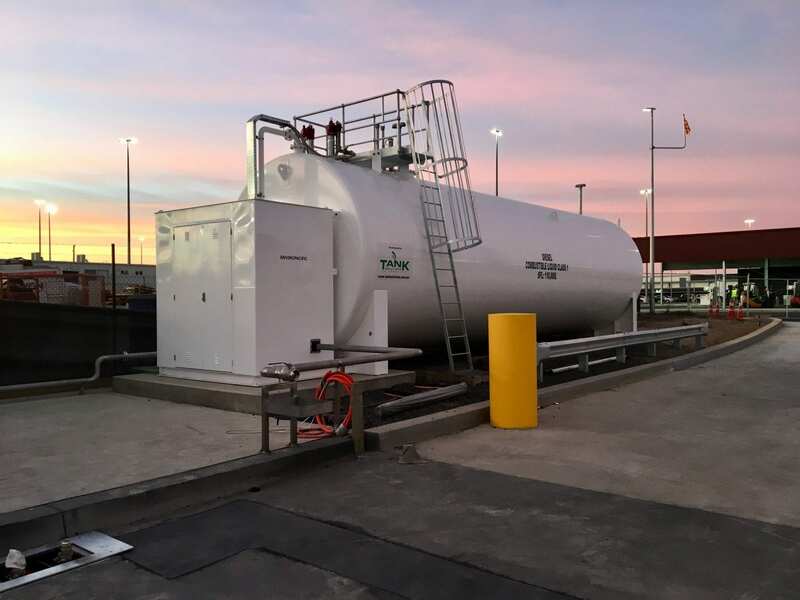 The Team at Tank Solutions have just provided another great 110,000 litre Self Bunded Onground Fuel Solutions for the Melbourne Markets in Victoria. We specialise in ‘Bespoke’ designs for Onground Fuel Solutions for all your Hydrocarbon Storage needs. We also specialise in 4 Hour Fire Rated Tanks that can also be customised to suit most applications large or small. Please feel free to make contact with us today, and our team will get back to you will a solution to your Fuel Storage needs.